Russians list their favorite things to do on a visit to the country. 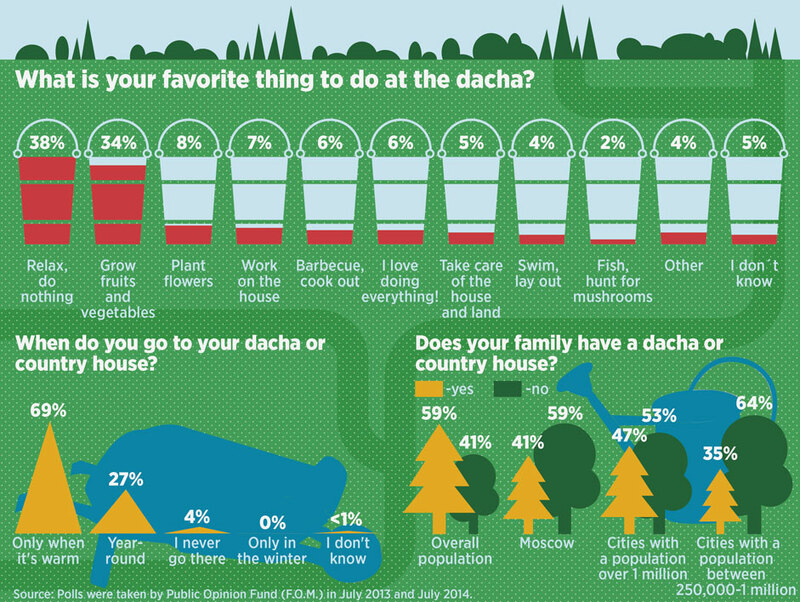 The Public Opinion Foundation (FOM) asked Russians to select their favorite activities at the dacha. Each respondent could choose up to three answers.